Wordstock, Portland's major literary festival, is relaunching this year at the beautiful Portland Art Museum on Saturday, November 7, and I'm happy to say I'll be one of the featured authors. In fact, I'll be making a few different appearances throughout the festival. Here's more info about the event and where you'll be able to find me. A short reading of my newest book. I'll be appearing in front of artwork painted during the novel's setting. 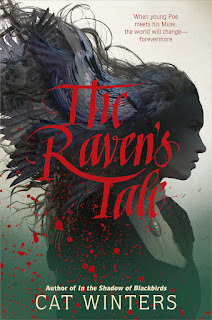 Toil and Trouble: Monsters, Witches, and Ghosts, Oh My! An hour with OPB’s Oregon Art Beat, featuring a coming-of-age tale set on Mount Hood, Martin Marten, with author Brian Doyle; best-selling author of the Wildwood series and Decemberists frontman Colin Meloy talks about the difference between writing for songs and writing for books; Lauren Redniss will discuss her fascinating new work of visual literature, Thunder & Lightning; and award-winning author Cat Winters on her haunting new novel, The Uninvited. Hosted by Katrina Sarson. If you live in the area or will be traveling to Portland for the event, I hope to see you there. Libraries have been a major factor in the success of my debut novel, In the Shadow of Blackbirds. Even before the book's release in April 2013, librarians were spreading the word about it. They named the book a 2013 Morris Award finalist, and over 1,000 library systems around the globe have purchased the novel for their collections. 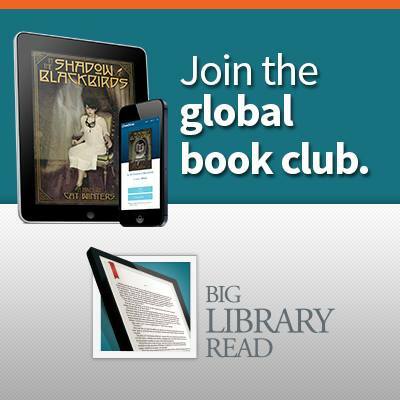 I'm thrilled to announce that In the Shadow of Blackbirds is now experiencing another major library moment: It was selected as one of two books that are being featured in the October 2015 Big Library Read. The program runs from October 7-21, 2015. If you're arriving at this site because you found me through Big Library Read, welcome! Feel free to stay for a while to learn more about me and all of my books. 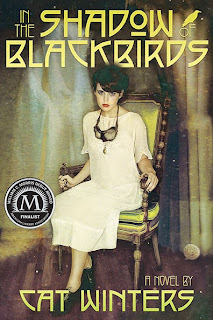 In the Shadow of Blackbirds bonus features (playlists, a behind-the-scenes look at the making of the cover, an In the Shadow of Blackbirds map of San Diego) are available at BlackbirdsNovel.com. Discussion questions for the book are available through Big Library Read. The program will also feature a Twitter chat with me on Tuesday, October 13, from 2:00-3:00 pm Eastern Time. Please join me by using the hashtag #BigLibraryRead. If you happen to live in or near San Diego, come chat with me in person about the book at my appearance at Mysterious Galaxy on Saturday, October 10, at 2:00 pm. The other selected title is Robin McKinley's The Door in the Hedge. 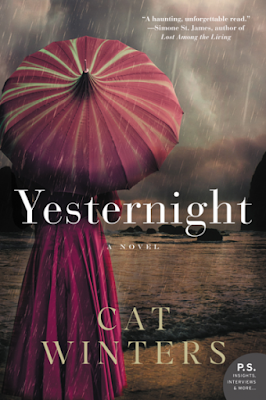 On Saturday, October 10, at 2:00 pm, I'll be speaking with Laura Anne Gilman at Mysterious Galaxy in San Diego, and I can't wait! 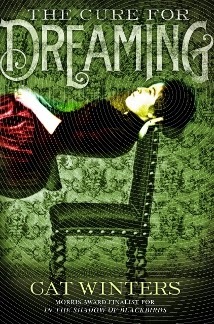 I'll be reading from and signing The Uninvited. I've been writing fiction since early childhood, but I first started seriously writing for publication when my husband and I were newlyweds living in an apartment . . . just fifteen minutes away from Mysterious Galaxy. Now that I'm an Oregonian, I've waited far too long to promote one of my novels down in a San Diego bookstore. 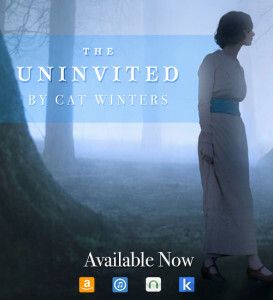 I'm ecstatic that I finally get to celebrate The Uninvited with friends and family in the region. If you live in the area, I hope you can come see me this Saturday. Mysterious Galaxy is located at 5943 Balboa Avenue, Suite #100, San Diego, CA. Thanks to everyone who stopped by my site during the YA Scavenger Hunt! It was my first time to participate in the event, and I was blown away by the number of entries for my bonus giveaway. 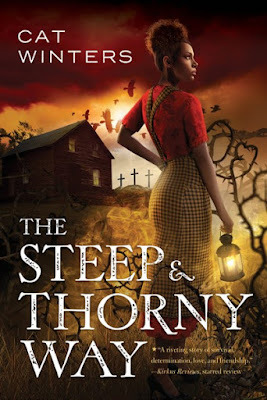 Speaking of which, the winner of the signed ARC of The Steep and Thorny Way is . . .
Natasha, I'll email you directly. Huge thanks to Colleen Houck for organizing the hunt. I hope to participate again sometime.